Kree’arra is a powerful Aviantese boss in the God Wars Dungeon. Her primary attack is ranged although also uses a magic attack. Kree’s attacks will hit every player in the room at the same time, meaning you cannot enter this fight with a designated tank like the other God Wars Dungeon bosses. Kree can stack up to 71 damage at once so it’s vital that the player keep the protect from missiles prayer active at all times. Kree’s other unique attack will push the player back in a gust of wind, this pushback can be avoided by placing yourself in the corner of the room. 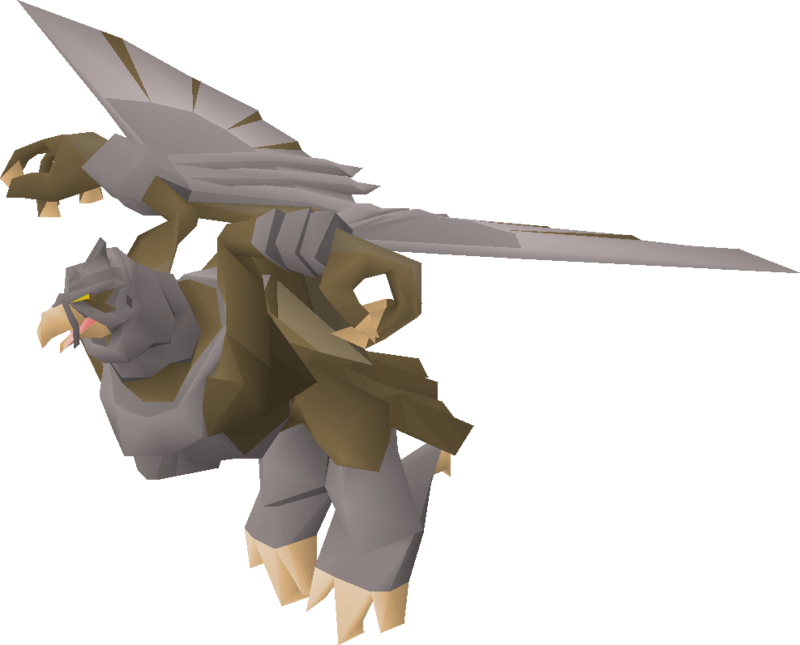 As Kree’arra is classed as an Aviansie, a slayer task of Aviansies will allow you to use a black mask or slayer helmet, which greatly increases your DPS and the number of kills you will be able to achieve in a single trip. The most common tactic to use at Kree’arra is to use black chinchompas and focus your attacks on one of the minions in the room – as the minion has a much lower defence that Kree, the AoE damage from the chinchompa will deal more damage to Kree than if you were to attack her directly. Ecumenical keys – Due to the difficulty in getting the 40 kill count required to enter the Armadyl boss room – it’s highly recommended to obtain an ecumenical key instead. The ecumenical key will allow you to bypass the kill count requirement and can be obtained much quicker from the Wilderness God Wars Dungeon before you make your trip to Armadyl. God Wards Dungeon Notes – You will need to bring one rope to gain access to the dungeon for the first time and access to Armadyl’s Eyrie in the dungeon requires you to have 70 ranged and a mithril grapple. When entering the dungeon, you will take damage from a variety of different monsters if you are not properly prepared. There are certain god-aligned items you can equip in order to give yourself protection from that specific god’s followers. For example, equipping a Bandos Godsword while in the dungeon will make all minions in the dungeon which are aligned with Bandos non-aggressive. The protection needed in order to have full protection in Armadyl’s corner of the dungeon is Bandos, Zamorak and Saradomin and Armadyl. However, in Armadyl’s Eyrie you will only need an Armadyl item and a Zamorak item to get your kill count and enter the Armadyl boss room comfortably. The ranged chinchimpa role at Armadyl is fairly simple. When you enter the room, use the protect from missiles prayer and head straight to any corner in the room. While using chinchompas, you need to target the minions in the room and make sure the AoE damage is also hitting Kree’arra. When one minion dies, you need to run along the walls to re-align the next minion and continue throwing your chinchompas. The ranged tank role at Armadyl is simple but less effective than the ranged chinchompa role. When you enter the room, use the protect from missiles prayer and head straight to any corner in the room. Using your crossbow, you need to target and continue hitting Kree’arra until she dies.